Did you know that most of your electronics are drawing power when they are not in use? This “vampire load” adds up to cost the average home up to $200/year! Installing smart power strips can reduce vampire loads and save you money. 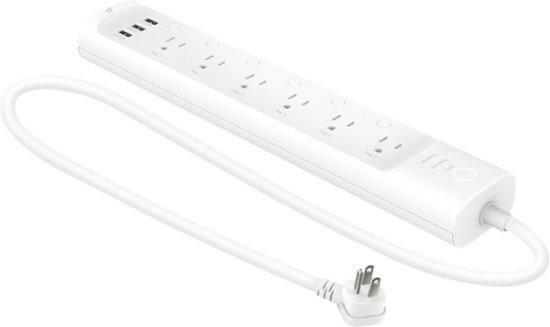 What is a smart power strip? Many electronic devices, like your TV or computer, draw power 24 hours a day, whether you are using them or not. For the average home, the extra energy costs up to $200 a year! Smart power strips and smart plugs make it easy to turn things off when you don’t need them. A smart power strip or smart plug is just the same as your normal power strip or outlet except that is has added features that allow you to easily shut off the power to devices when not in use. They cost a bit more, but will generally pay for themselves through savings in a year or so. Read below to learn more! Home Entertainment Centers: Any device that has a remote control is a great candidate for a smart power strip. Often TVs and stereos that appear to be off are actually on standby mode, waiting for a signal from a remote control. Home Office: Also, any device with a status light or a digital display, like computers and printers, are drawing energy when you are not using them. Unused chargers left in outlets are especially wasteful. Kitchen: Coffee makers, microwave or toaster oven—anything with a display when not in use. Bathroom: Hair dryers, electric shavers, curling irons or electric toothbrushes, etc. Basically, with the exception of light fixtures, most of what you leave plugged in likely has a vampire load. Most devices use less energy in standby mode than when they are in use; however, round-the-clock energy losses really add up! Experts estimate that most households lose an entire month’s worth of energy to vampire loads each year. Consolidate your devices. Next, consolidate your devices to make it easier to manage the loads. Often homes include clusters of devices used together. For example, an entertainment system often includes a television, cable box, DVD or CD player, game console, and other feed-ins. 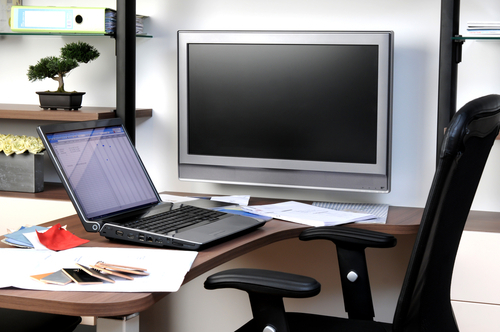 A home office might include a computer, external monitor, scanner, printer, and various chargers. Set these clusters of devices up to use a single power strip (or two if needed). The next step—choose your power strip. There are a few different types of smart power strips. Below is a brief guide on how to choose the one that best fits your home. Power or Activity Sensor: Go truly high tech with an activity or power sensor controlled power strip. A power sensor control can tell when you turn a device off and then it can cut the power so it doesn’t draw energy on standby (vampire power). This is generally combined with an activity sensor that can then tell if you left the device on or want to use the device again so it will turn back on. Sometimes the power control is tied to a master device like a TV, when you turn the TV off, it turns all the other units off like DVD, game console, etc. For example, if you turn off your TV, then the power strip can sense this and can cut the power to any device connected to the power savings plugs. Then, when you want to use the TV again, just click on the volume or another button on the remote and the activity sensor will detect you want to use the TV and restore power. It can also turn off devices if you forget. If you leave the TV on after you have left the room (or fallen asleep! ), after an hour or two (or whatever time you set), it will turn off the TV. It will provide a warning first, so you can keep it on if you are still watching. 3Purchase, Install your smart power strips & save! Once you choose your power strip, purchase, install and save!